British Folk Art, the first significant exhibition of British folk art at a major institution opened at Tate Britain on 10 June 2014. Nearly 200 paintings, sculptures, textiles and objects have been drawn together from collections across the country in an exhibition that celebrates folk art in the UK. Folk art is an established subject in many countries; however in Britain the genre remains elusive. Rarely considered in the context of art history, ‘folk art’ has been viewed as part of social history or folklore studies. This show unites an extraordinary selection of objects, exploring the threshold between art and artefact and challenging perceptions of ’high art’. British Folk Art includes surprising and diverse examples of British folk art, from rustic leather Toby jugs to brightly coloured ships’ figureheads. The imposing larger than life-size thatched figure of King Alfred created by master thatcher, Jesse Maycock, in 1960 is one of the exhibition’s highlights. Others include maritime embroidery by fisherman John Craske; an intricately designed pin cushion made by wounded soldiers during the Crimean war; and shop signs in the shape of over-sized pocket watches and giant shoes. 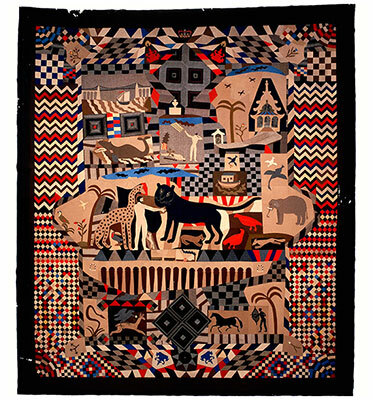 While much folk art is anonymous, this exhibition also presents works by a number of prominent individuals. Amongst these key figures are George Smart the tailor of Frant, eminent embroiderer Mary Linwood, and Cornish painter Alfred Wallis. Often neglected in the story of art in Britain, the inclusion of these artists aims to reassess their position in art history. British Folk Art is an opportunity to discover the astonishing wealth of the nation’s regional collections, including works rarely seen in public, many of which have never been on display before in an art gallery. Encompassing works dating from the seventeenth to mid-twentieth century, this visually engaging exhibition examines the contradictory notions of folk art, reflecting the ways in which art historians, artists, curators and collectors have defined folk art in the UK. 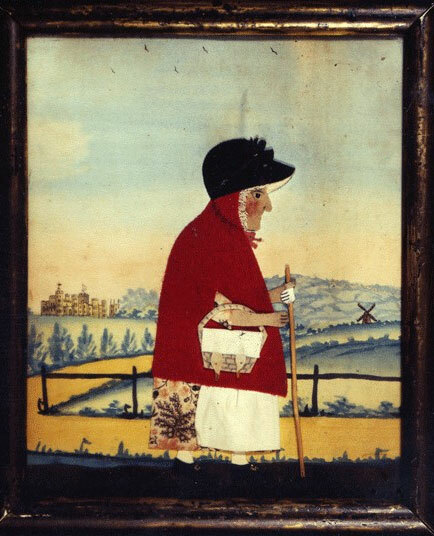 British Folk Art reveals the rich diversity of art across a variety of media and contexts. The exhibition is curated by Martin Myrone, Curator, Tate Britain, Ruth Kenny, Assistant Curator, Tate Britain and artist Jeff McMillan. The exhibition is accompanied by a fully illustrated book by Tate Publishing. The exhibition will tour to Compton Verney, Warwickshire, from 27 September to 14 December 2014. The glass aquarium, with its panoramic view, became the equivalent of a 19th century television set.